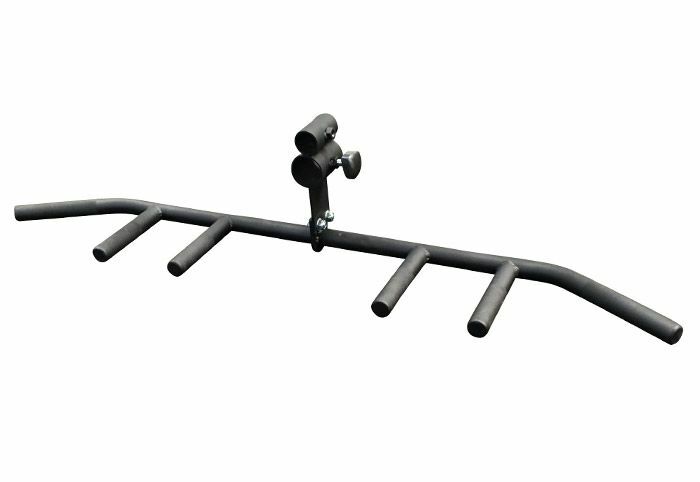 Multi-Grip T-Bar Row Attachment. Don't let cheaper made models fool you. T Bar Row Multi-Grip Handlebar is made of steel. One of a kind bar that allows your to work multiple muscle groups. Three gripping positions to allow the athletes to take their back exercises to the next level Compatible with Olympic and Standard bars - Supports over 400LBs Powder Coated.